Every place Kyle wears this Hawaiian shirt, somebody compliments him on it. And it’s not just in Seattle. Right now, we’re on Whidbey Island for a short vacation. In the bookstore yesterday, the woman behind the counter told him how good it looked on him. 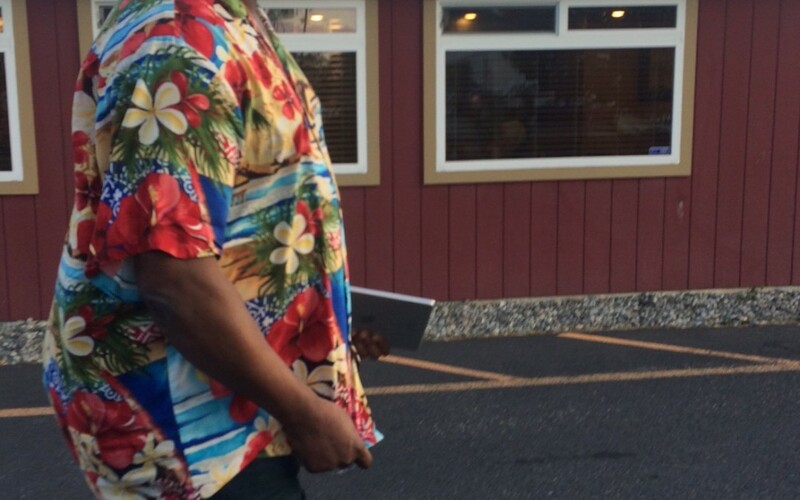 At the restaurant last night, they said he should come back for their luau evening. He bought the shirt on our honeymoon, on Kauai, from Hilo Hattie. It always has looked good on him.